Place cupcakes on a large plate or platter. 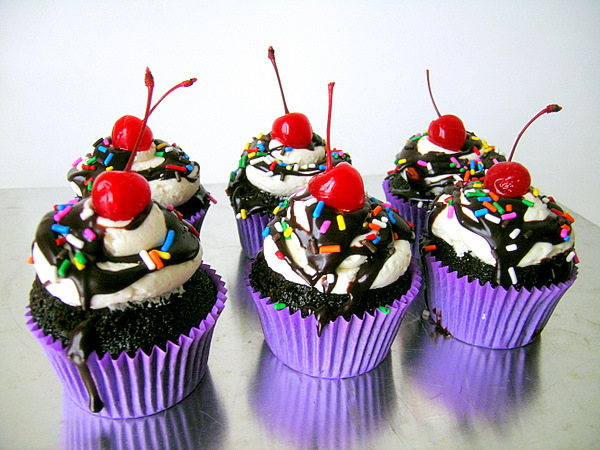 Place one scoop of ice cream on top of each cupcake. Spoon Whipped Cream Frosting onto ice cream. Top with gluten free sprinkles and finish with a cherry.